The owners of a Belfast-based Christian bakery who refused to ice a cake supporting gay marriage won their case against gay rights activist Gavin Lee. News 10 October, 2018 . Written by Sarah McKenna Barry. The Supreme Court has ruled that the Christian owners of a bakery did not discriminate against a customer when they refused to ice a cake with the slogan “Support Gay Marriage” based on “religious grounds”. The owners of Ashers Baking Company in Belfast, Amy and Daniel McArthur, won their case against Gavin Lee, a member of LGBT+ advocacy group QueerSpace. Five justices of the Supreme Court were unanimous in their decision to grant the Christian bakers their victory. “It is deeply humiliating and an affront to human dignity, to deny someone a service because of that person’s race, gender, disability, sexual orientation or any of the other protected personal characteristics, but this is not what happened in this case. “The bakers did not refuse to fulfil his order because of his sexual orientation. They would have refused to make such a cake for any customer, irrespective of their sexual orientation. “We are disappointed by this judgement. Ashers agreed to make the cake. They entered into a contractual agreement to make this cake and then changed their mind. While sympathetic as some may be to the position in which the company finds itself; this does not change the facts of the case. 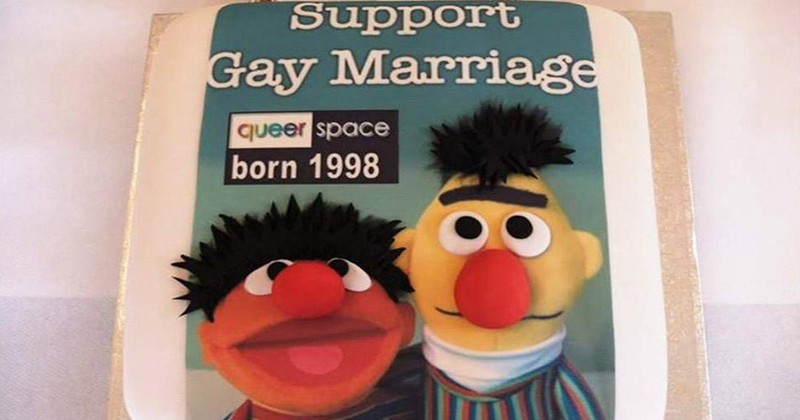 The ‘Gay Cake’ case started in 2014, when Lee ordered a cake from the Irish bakery featuring Sesame Street puppets Bert and Ernie for a private function marking International Day Against Homophobia. Mounting a failed challenge at the Court of Appeal in Belfast in 2016, Ashers contended that it was never an issue with Mr Lee’s sexuality, rather the message he was seeking to put on the cake. 10 October, 2018 . Written by Sarah McKenna Barry.